Great looking sports car concept. 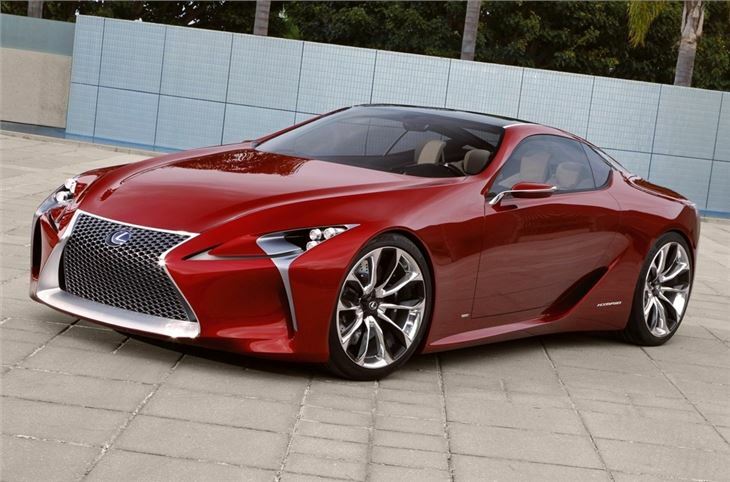 Styling made its way onto other Lexus models. Sadly will never become production. Lexus unveiled a new LF-LC 2+2 sports coupe concept at the North American International Auto Show (NAIAS) in Detroit in January 2012, a vehicle which marks a further step in the development of Lexus's design direction. 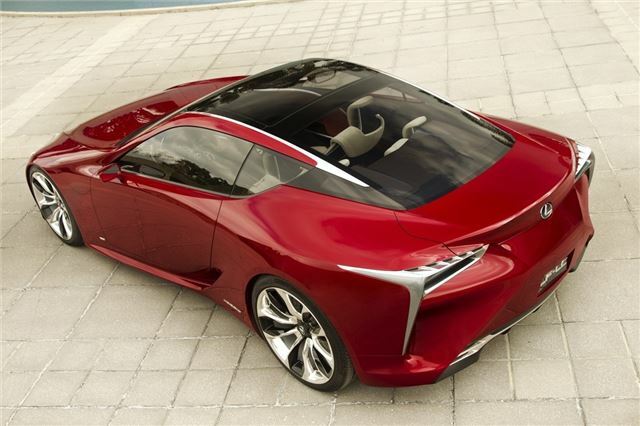 Lexus has crafted the LF-LC from a clean sheet of paper, combining high technology and organic shapes to achieve a close connection between driver and car. The concept's clean lines create a highly distinctive, futuristic look. LF-LC was conceived as an exercise to explore the future of Lexus design and was created at Lexus's Calty design studio in Newport Beach, California.